My Take: I am going to have a hard time writing a review for this book unless I want to have spoilers. 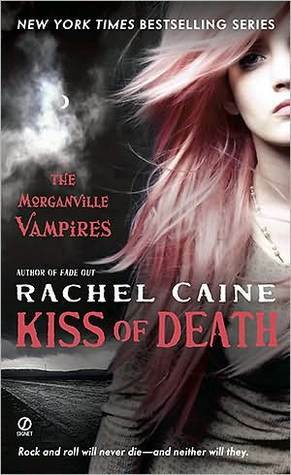 After reading Fade Out I was wondering where Rachel Caine could go with this series. Now that I have read this book, I am a little confused about who Claire should trust. Rachel Caine’s writing style in this book was a little irritating with her repeating phrases and recapping throughout the whole book. One thing that I actually did like about this book, was the change in setting and that Rachel Caine brought back the horror to the series. I felt that in the last book, there was very little reason to be concerned if Claire, Eve, Shane or Michael were in danger. I feel that Claire is a little too much of a tough girl than I think she should be. What is with her being superhuman when it comes to self-defense against vampires AND she happens to be the one that can talk them out of bad situations? Eve is still a little crybaby but she is not as irritating to me than she was in the last book. All in all, I love Shane and Michael, but Shane...Can you please stop kissing Claire's fingers already!?!?! ?